Samhain & Justin are your everyday rockstars, truly. Totally our vibe! Justin works in medicine and Sam is a full time piercer at Lady Luck Tattoo. They absolutely crushed it, as expected, and these photos are 100% them. 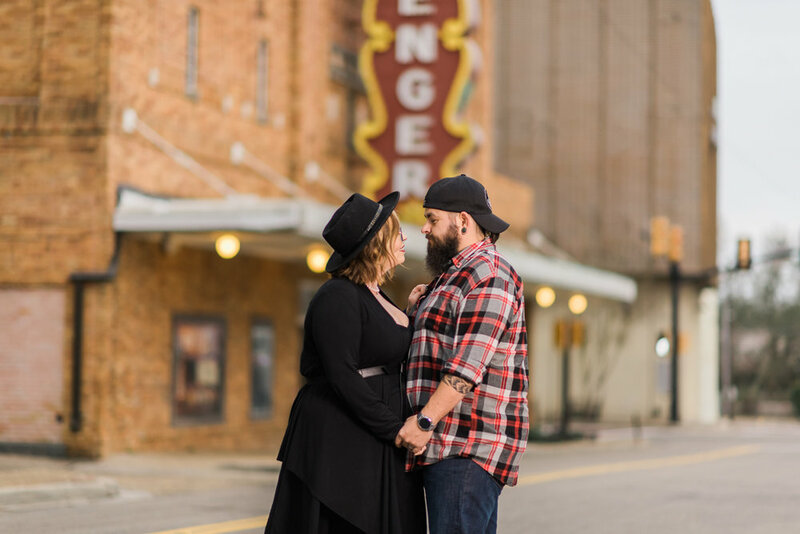 We chose The Saenger Theater in Hattiesburg for their location for photos because, well, rockstars.